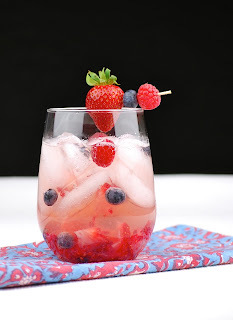 Mix together the blueberries, raspberries, strawberries and Chambord. Refrigerate at least an hour, but overnight is better. When you're ready to serve the sangria, add in the sparkling wine. Do this right before drinking so the bubbles stay fresh!